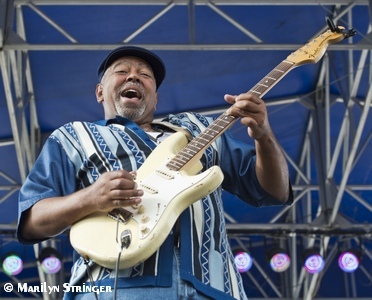 SAN ANGELO — It took just one note from his guitar — a soulful moan-like sound — and the thousands of people in attendance to see blues superstar Zac Harmon perform during San Angelo’s 9th Annual Simply Texas Blues Festival, truly understood the blues. As Harmon and his band continued to play more than 500 entranced fans cluttered in front of the stage, their bodies writhing in ecstasy, tears of joy streaming down many of their faces, their outstretched arms yearning to touch what they could feel. By the band’s third song, shouts of “hallelujah” and other triumphant jubilation's reverberated throughout the crowd. 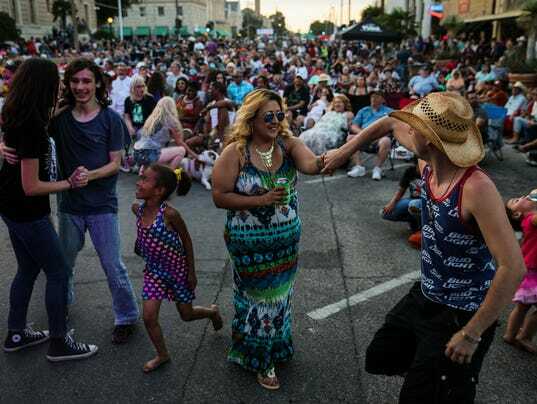 More than 12,000 people attended the daylong event which was held in downtown San Angelo on Saturday. “Incredible,” is all a pleasantly stunned Clay Hubbard could say as he watched the show. 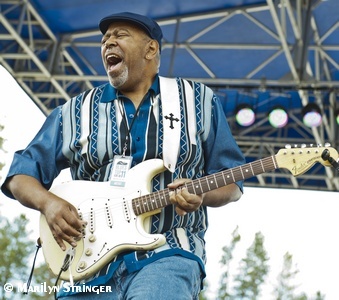 Hubbard is the board president of the San Angelo Blues Society, organizers of the event. 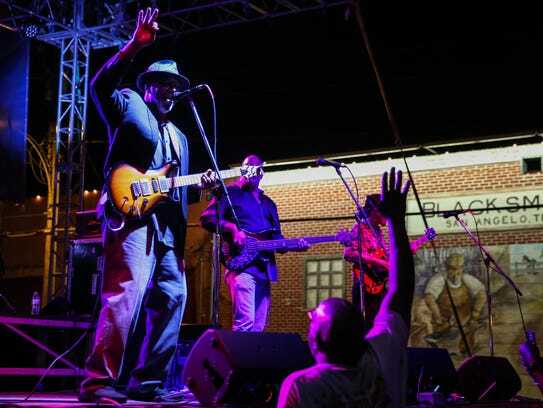 An international superstar, Harmon is the most prominent performer ever invited to headline the blues festival. The Jackson, Mississippi born Harmon didn’t disappoint. Harmon knows how to provoke powerful emotions from his guitar. His slowly drawn out, sustained notes are drenched in pure soul. 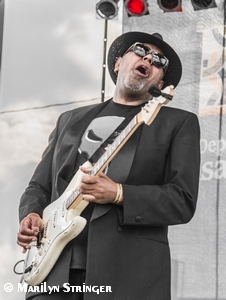 At the drop of a hat, he can shred his guitar like a panther unleashed, his extended solos working his audience into a frenzy. “Let me explain why we refer to each other as doctors,” Harmon told the audience. “How many people believe that music is medicine that can heal the soul? 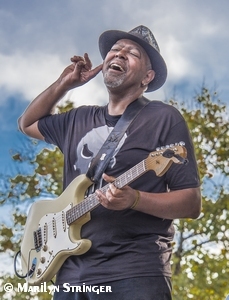 Lee, whose music has a harder rock edge to it, dipped his feet into classic R&B and funk, most noticeably during his cover of Stevie Wonder’s “Superstition.” During the song’s extended jam, Lee and his band being playing a chorus from a song by funk legends, Parliament. Lee’s rock-oriented style played well with the younger crowd. But this was Harmon’s night, and he noted Saturday was also Armed Forces Day. Harmon asked everyone who has ever served in the military and those whose jobs are to serve and protect Americans to stand up and be recognized. Harmon told his San Angelo audience that since that day, he performs that song at every show, in honor of that soldier. As Harmon and the band began playing, the thousands of people in attendance began singing along. The effect was far reaching: Two blocks away, a husband and wife sitting in lawn chairs held hands and began singing along. Four blocks away and a chorus of 10,000 people could still be heard.